Arthur Murray Colorado offers ballroom dancing lessons, salsa dance, beginners dance classes, and wedding dance lessons. The Arthur Murray Colorado Dancing Calendars feature all the best dancing events and competitions in Denver, Castle Rock and Lakewood. Our social dancing events are meant for dancers of all ages and flavors, whether you’re into ballroom, salsa, tango, swing, country western or social dance. The Colorado Arthur Murray® dance instructors are specially trained and certified in the many forms of ballroom dancing. Our dance instructors can put you in touch with today’s most popular dances to make you comfortable in social or competitive dance scene. Whether you’re dancing at your wedding or at a dance competition, our instructors will have you dancing on your feet in no time! Arthur Murray Denver is now taking applications for a Full Time Instructor! The Arthur Murray Colorado Dance Centers offer Ballroom & Latin dance classes to dancers of all skill levels. Beginners and professionals alike call the Colorado Dance Centers of Arthur Murray, their home for dance! Arthur Murray Denver, Castle Rock and Lakewood dancing instructors are specially trained and certified in social, salsa, ballroom dancing and many more styles. Our dance instructors can put you in touch with today’s most popular dances to make you comfortable in social dance scenes or if you are interested in becoming a competitive dancer. 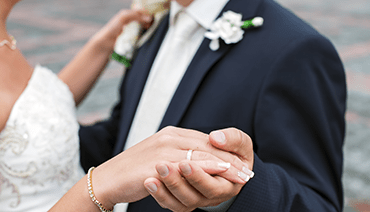 Whether you’re dancing at your wedding or in a local ballroom dance competition, the Colorado dance instructors will have you dancing on your feet in no time!